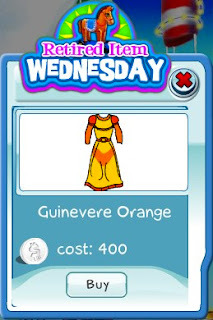 The Guinevere Orange dress is this week's Retired Item. This is one of our earlier dresses so it's a SecretBuilders classic. Today is your last chance to get one before it's retired.